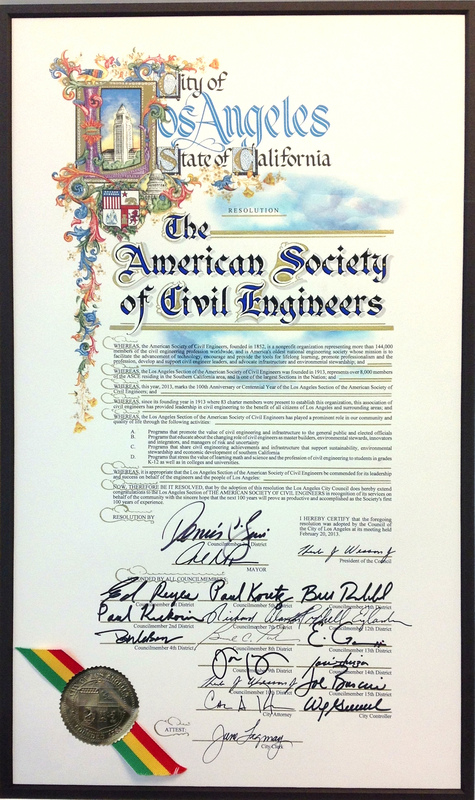 The Year 2013 will be a special centennial year for civil engineering and the American Society of Civil Engineers (ASCE) in the Los Angeles Section. The ASCE Section will be celebrating 100 years of civil engineering history and marvels throughout Southern California. 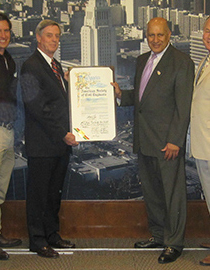 Over our Centennial year we will be conducting activities to celebrate the contributions that civil engineers have made, and will continue to make in the future, to the development of southern California. 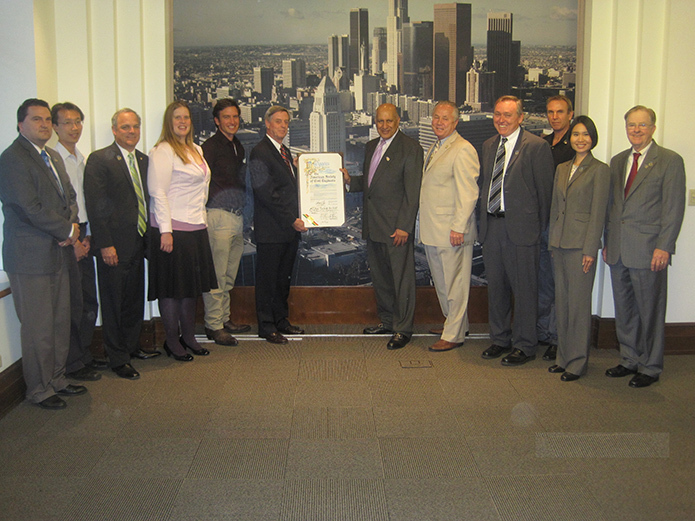 Some of the planned events are a Centennial video highlighting significant projects and Los Angeles Section civil engineers, an Infrastructure Symposium, Centennial Celebration Dinner, K-12 Outreach, Engineers Week, Life Member Forum programs, Younger Member Forum events, and Student Events. Click Here to read an article on Urban Development and Sustainability Infrastructure by Mark Norton, P.E. Click Here to view the article on Wastewater Treatment, Collection and Recycling. Click Here to read an article by Douglas J. Sereno, P.E. on the Long Beach & Los Angeles Harbors Infrastructure. March 1, 2014 ASCE LA Section Life Member Forum Brunch at Monterey Hill Steakhouse, Monterey Park. Check out our new “History of the ASCE Los Angeles Section” site produced by our Section History & Heritage Chair, Andy Machen. Click Here. Haven’t seen our new videos of coming events? Check out our exciting Videos for the 2013 Centennial Year ahead. Copyright (c) 2008 - 2019 ASCE LA Section.